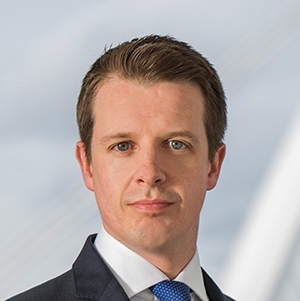 The Central Bank of Ireland (the “Central Bank”) has recently clarified a number of key points to the Irish funds industry which will be relevant to market participants impacted by Brexit. The purpose of this article is to highlight the most pertinent developments in this regard. Regulation 21(1)(d) of Ireland’s EU (Alternative Investment Fund Managers) Regulations, 2013, as amended (“AIFMD Regulations”) requires that an Irish authorised AIFM or internally managed AIF cannot delegate portfolio management or risk management to a third country firm unless, inter alia, “co-operation between the [Central] Bank and the supervisory authority of the undertaking shall be ensured”. Similarly, Regulation 23(1)(d) of Ireland’s European Communities (Undertakings for Collective Investment in Transferable Securities) Regulations, 2011, as amended (“UCITS Regulations”), requires that an Irish UCITS management company or self-managed UCITS cannot delegate investment management to a third country firm unless, inter alia, “co-operation between the [Central] Bank and the supervisory authorities of the third country concerned is ensured”. As readers will be aware from our recent publication, the ESMA Multilateral Memorandum of Understanding (ESMA MoU) with the FCA was announced by ESMA on 1 February, 2019. The ESMA MoU satisfies both of the requirements noted above in relation to delegation under the UCITS Regulations and AIFMD Regulations. The Irish QIAIF and the UK AIFM must comply with the provisions of the AIF Rulebook that apply in the case of QIAIFs with registered AIFMs. These requirements, which are largely taken from organisational and conduct of business requirements of the AIFMD Regulations, are set out in Part III of Chapter 2 of the Central Bank’s AIF Rulebook. Procedurally, the Central Bank has requested Irish AIFs that wish to retain UK AIFMs post 29 March, 2019 to notify the Central Bank by email by 22 February, 2019. Likewise, UK AIFMs must notify the Central Bank of their intention to continue to act as a non-EU AIFM by the same date. Readers should note that the Central Bank has not requested that legal documentation supporting the AIFM’s appointment be updated, however if such documentation is required to be updated, it has requested that such documentation be submitted to the Central Bank by 1 March, 2019. Where an Irish AIF is currently managed by a UK AIFM and it is intended to change to an AIFM domiciled within the EU, a change of service provider (COSP) application will be required to be filed with the Central Bank. In order to effect any such change by 29 March, 2019, the COSP application along with supporting documentation will need to be filed with the Central Bank by 1 March, 2019. The Central Bank has also separately clarified that once the UK exits the European Union, existing appointments of UK investment managers by Irish fund management companies will be permitted to continue without an additional clearance application being required. For new appointments, however, UK investment managers will be considered non-EU investment managers and will be subject to a full review by the Central Bank. 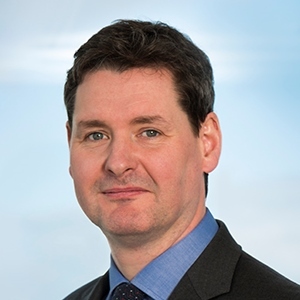 The Central Bank has now provided a certain level of clarity to industry in relation to the treatment of UK directors or designated persons under the so-called ‘Location Rule’. In this regard, the Central Bank published a ‘notice of intention’ setting out that should the United Kingdom become a third country, the Central Bank will consider whether it is a jurisdiction meeting the ‘Effective Supervision Requirement’. For the period while this is under consideration, the Central Bank does not propose adopting a default position which would treat the UK as not satisfying the ‘Effective Supervision Requirement’. A number of important Brexit related matters remain under consideration by the Central Bank including the eligibility of UK OTC counterparties for Irish UCITS as well as the rules to be applied in relation to investments by Irish UCITS and AIFs in UK funds. We will provide updates to readers in due course as soon as new information becomes available in this regard. Should you have any queries in relation to this article, please contact the authors or your usual contact in the Dillon Eustace Asset Management Team for further information.